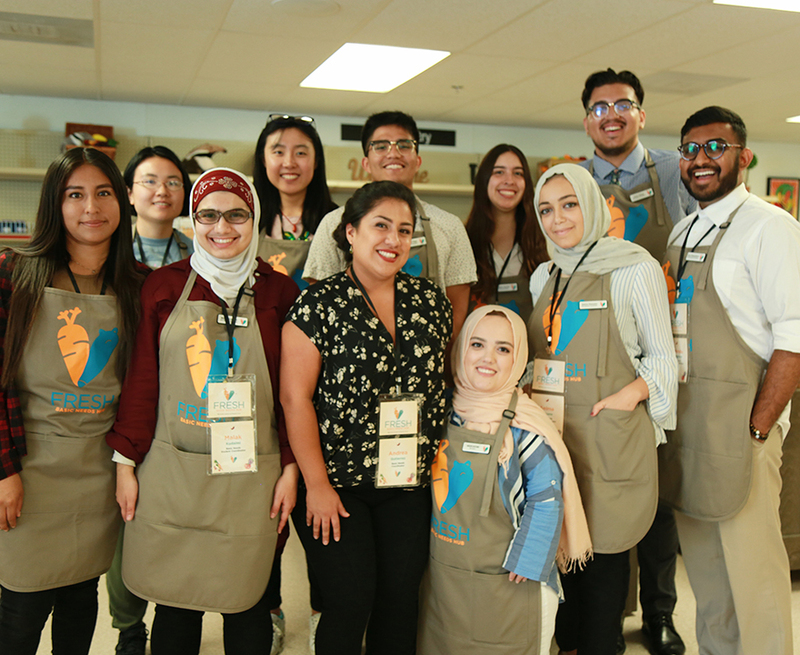 Kudaimi, who graduated in June, has since served as an intern for ASUCI's Food Security Commission and has been a lead researcher for an Undergraduate Research Opportunities Program (UROP) project about campus food insecurity. She later presented the group’s findings at the annual UROP Symposium. 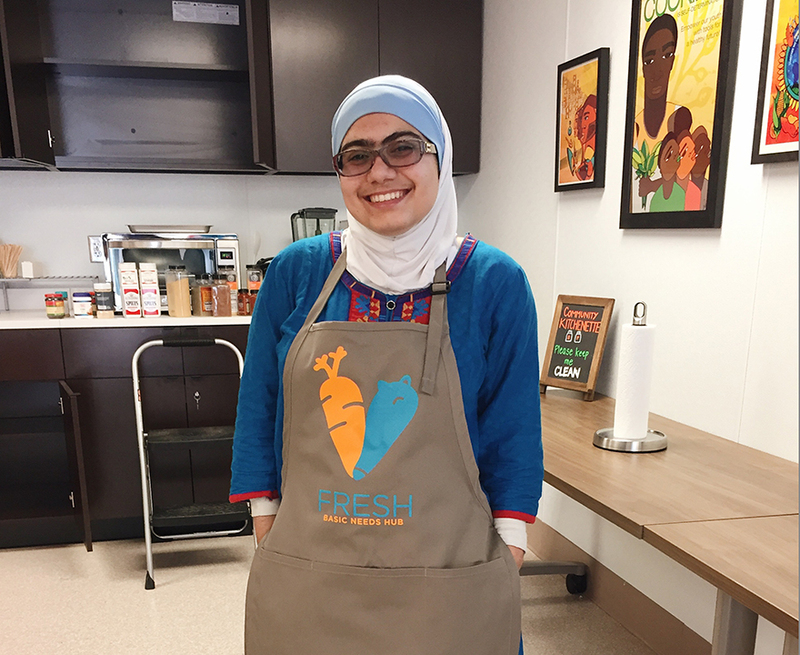 She worked as one of the Basic Needs Student Coordinators for the newly established FRESH Basic Needs Hub, the resource center on campus dedicated to helping students meet their basic needs. She was later promoted to Programming Student Manager where she helped put together workshops on cooking, nutrition, and personal finance. Next month, she’ll begin a yearlong fellowship with the Emerson National Hunger Fellows Program, where she’ll split her time between working at an anti-hunger community-based organization in Seattle and a national organization working on hunger poverty policy in Washington, D.C.
Kudaimi has since realized she was not alone in the hunger she experienced freshman year. “Food insecurity is a public health issue. Students won’t be successful and thrive if they don’t have access to healthy food,” she says. It wasn’t until she read the evaluation forms the students filled out after attending one of her FRESH seminars that Kudaimi realized how widespread the issue was and the significant impact she was making in tackling it. “The work we did had tangible effects in students’ lives. They gained life skills they didn’t have before,” she says excitedly. It seems that Kudaimi’s collegiate journey has been one of expanding perspective. As her experience with hunger expanded from the personal to the classroom and the community, so has her determination and commitment to combat health inequality. Soon, she will take her passion to fight food insecurity to the national level, when she begins her fellowship. “She’s one of those students you hope to have as a peer some day,” says Miryha Runnerstrom, associate professor of teaching and director of undergraduate education in public health. Kudaimi was a student in several of Runnerstrom’s classes, including the yearlong public health honors research and thesis course. Runnerstrom recalls how Kudaimi asked the brave questions no one else was willing to, and how she could rely on Kudaimi to notify her fellow students about clarifications to the coursework. “Malak is a leader. She’s bright and compassionate and all the things we hope for in a young scholar,” Runnerstrom says. Kudaimi wants to tackle food and health inequalities on an even larger scale. She eventually hopes to work for international organizations such as the World Health Organization, UNICEF, or the UN. After her fellowship ends next year, she plans on pursuing a master of public health degree with the hopes that it will help make her a more powerful agent to combat health inequality around the world. “I want to work on creating interventions to help communities thrive,” she says. Kudaimi immigrated to the U.S. from Syria when she was in the third grade. “I’ve never just known the U.S.,” she says. “Ideally, I’d like to spend half my time working here and half my time working abroad, perhaps in the Middle East. 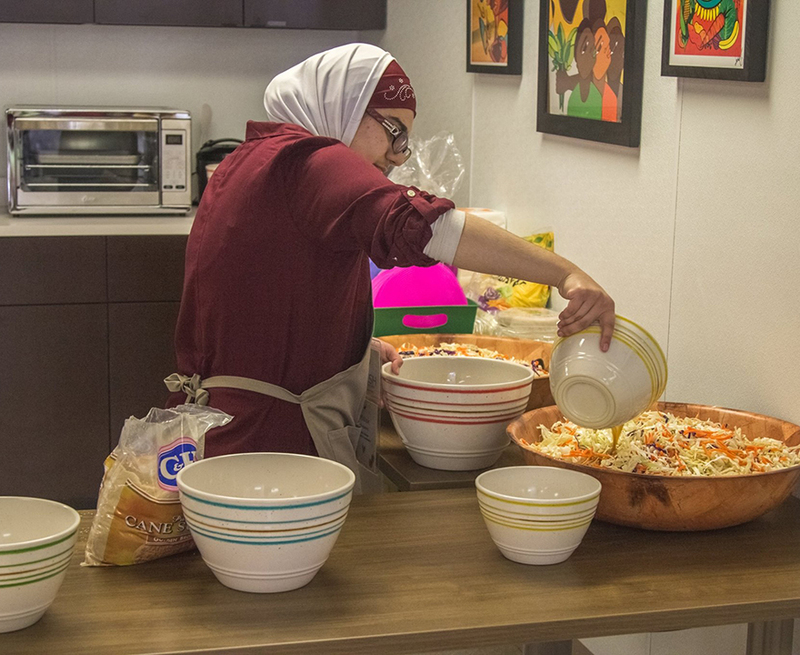 Eventually, I’d like to use my knowledge of Arabic and give back to communities I come from,” she says. Kudaimi has come a long way since those first difficult months of her freshman year. She’s channeled what she saw as an injustice, not only affecting her, but her classmates as well, and found a way to turn knowledge into action.